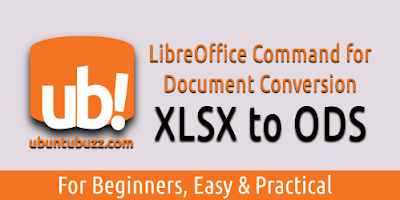 XLSX is Microsoft Excel OOXML document format. 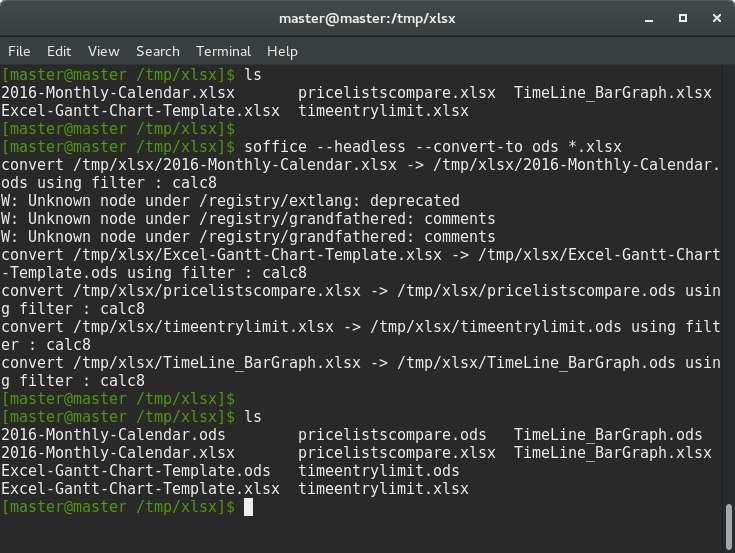 This command line showing how to convert multiple XLSX files to ODS. 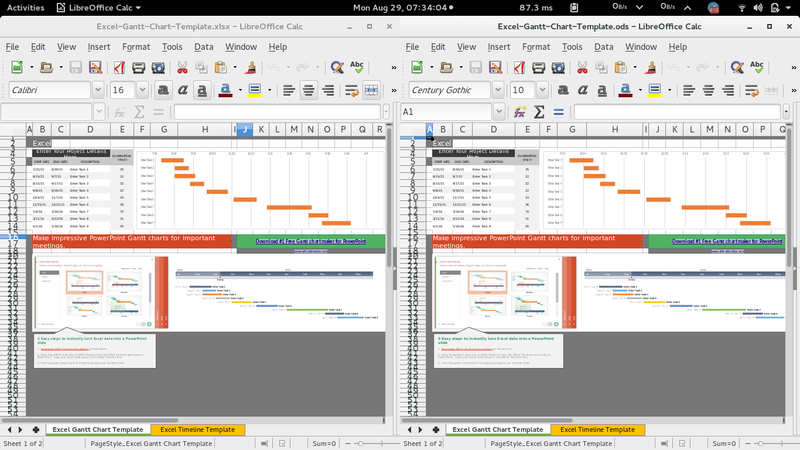 This can be considered as Microsoft Excel to LibreOffice Calc document conversion. We use several XLS files from several resources, we mention them below. Important note: close all LibreOffice windows before running this command, otherwise it won't work.